I am a product junkie if you haven't already noticed through my Instagram. During a hot summer day I remember breaking out and begging my mom to take me to Sephora to get a whole new skincare set just cause I felt like it was time to try something new. While on my excursion through Sephora I met a super kind and beautiful women who I instantly connected with. She talked to me for a while and we bonded over the fact that we were both Influential on different social media platforms. Her name is Rose and now we are pretty close... her Instagram is @missrosealhanti if you wanna follow and get some inspiration from one of my fave girls in Miami. Anyways Rose analyzed my skin and instantly said Sunday Riley would be great for you and she wasn't mistaken. I have combination skin and have a hard time finding products that don't give me an allergic reaction or cause me to break out. Sunday Riley is a cosmetic chemist and has worked on her products for years in labs. The price point for some of the products is very high but the brands image is not luxury but "selling something that actually works". Of course I did some research before buying into this cult brand and read tons of positive reviews so I decided to buy a full set. 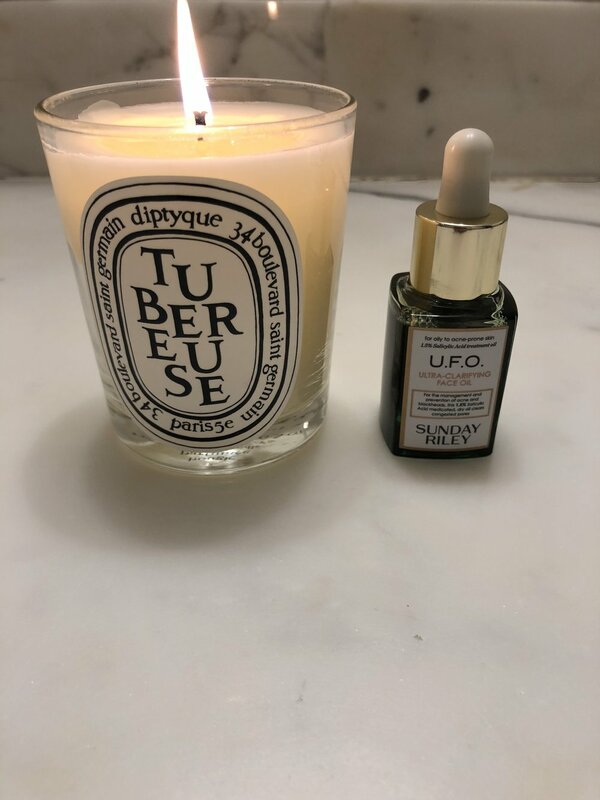 I bought the Ceramic Slip Clay Cleanser, Martian Mattifying Melting Water-Gel Toner, U.F.O. Ultra Clarifying Face Oil, and the Tidal Brightening Enzyme Water Cream. I have to say that this is now one of my favorite brands on the market. The face wash cleans very well while the toner is very gentle and adds moisture to your skin. The serums are amazing and the one I bought made my skin very matte and stopped me from getting more pimples while the enzyme moisturizer made my skin brighter and more plump. I realized that my skin became very matte and soft and my problem areas were something of the past. I would totally recommend to a friend and would rate the brand a 10/10 except the price is a little high but worth every single penny. Click To Shop Skinare Below.